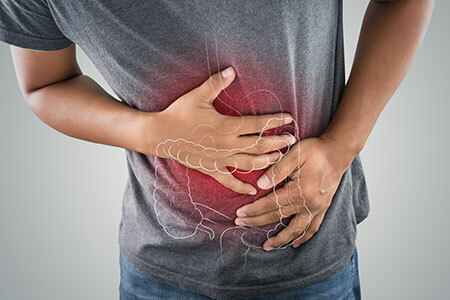 Inflammatory bowel diseases (IBD) arise from a convergence of underlying genetic susceptibility, immune system dysfunction, environmental factors, and shifts in gut microbiota. Due to the multifactorial feature of these diseases, different animal models have been utilized to investigate the underlying mechanisms and develop potential therapeutic strategies. Selection of strain background strongly affects the severity of colitis and the outcome of experiments. For example, C57BL/6 mice develop more severe colitis than BALB/c in responding to DSS treatment, whereas Il10 knockouts on the BALB/c background develop colitis earlier and more severely than Il10 knockouts on the C57BL/6 background. Microbiome has been reported to play an important role in human IBD and to affect the outcome of animal models. Thus, the variability in the microbiome among different facilities may account for inconsistency among experiments. To minimize the variability, it is important to tightly control the microbiome of mice. Practices such as sourcing from a consistent vendor, cohousing or mixed bedding9 in performance assay are highly recommended. 1. Wirtz, S.; Popp, V.; Kindermann, M.; Gerlach, K.; Weigmann, B.; Fichtner-Feigl, S.; Neurath, M. F. Chemically Induced Mouse Models of Acute and Chronic Intestinal Inflammation. Nat. Protoc. 2017, 12 (7), 1295-1309. PMID: 28569761. 2. Hernandez-Chirlaque, C.; Aranda, C. J.; Ocon, B.; Capitan-Canadas, F.; Ortega-Gonzalez, M.; Carrero, J. J.; Suarez, M. D.; Zarzuelo, A.; Sanchez de Medina, F.; Martinez-Augustin, O. Germ-Free and Antibiotic-Treated Mice Are Highly Susceptible to Epithelial Injury in DSS Colitis. J. Crohns. Colitis 2016, 10 (11), 1324-1335. PMID: 27117829. 3. Siegmund, B.; Zeitz, M. Innate and Adaptive Immunity in Inflammatory Bowel Disease. World J. Gastroenterol. 2011, 17 (27), 3178-3183. PMID: 21912465. 4. Antoniou, E.; Margonis, G. A.; Angelou, A.; Pikouli, A.; Argiri, P.; Karavokyros, I.; Papalois, A.; Pikoulis, E. The TNBS-Induced Colitis Animal Model: An Overview. Ann. Med. Surg. 2016, 11, 9-15. PMID: 27656280. 5. Mizoguchi, A. Animal Models of Inflammatory Bowel Disease. Prog. Mol. Biol. Transl. Sci. 2012, 105, 263-320. PMID: 22137435. 6. Wilk, J. N.; Bilsborough, J.; Viney, J. L. The Mdr1a-/- Mouse Model of Spontaneous Colitis: A Relevant and Appropriate Animal Model to Study Inflammatory Bowel Disease. Immunol. Res. 2005, 31 (2), 151-159. PMID: 15778512. 7. Maxwell, J. R.; Zhang, Y.; Brown, W. A.; Smith, C. L.; Byrne, F. R.; Fiorino, M.; Stevens, E.; Bigler, J.; Davis, J. A.; Rottman, J. B.; et al. Differential Roles for Interleukin-23 and Interleukin-17 in Intestinal Immunoregulation. Immunity 2015, 43 (4), 739-750. PMID: 26431947. 8. Rieder, F.; Kessler, S.; Sans, M.; Fiocchi, C. Animal Models of Intestinal Fibrosis: New Tools for the Understanding of Pathogenesis and Therapy of Human Disease. Am. J. Physiol. Gastrointest. Liver Physiol. 2012, 303 (7), G786-801. PMID: 22878121. 9. Miyoshi, J.; Leone, V.; Nobutani, K.; Musch, M. W.; Martinez-Guryn, K.; Wang, Y.; Miyoshi, S.; Bobe, A. M.; Eren, A. M.; Chang, E. B. Minimizing Confounders and Increasing Data Quality in Murine Models for Studies of the Gut Microbiome. PeerJ 2018, 6, e5166. PMID: 30013837.